Home » Are Tugboat Accidents Common? Most are used to help ships into and out of the water. Additionally, they come to the rescue of ships, the fight fires and break up ice. They can tow the weight of larger cruise ships and container ships, as well as tow oil rigs and other large maritime structures. Capsizing—This most often occurs when there is an operational problem with the vessel. However, this types of accident most often leads to serious or fatal injuries. Mechanical failure—Tugs require a lot of equipment to perform their job properly. When this equipment fails due to a defective part or a lack of maintenance, serious injuries can result. Falls—While they play a big part in the maritime industry, the vessels themselves are small and crowded. That said, slips, trips and falls are a common cause of injuries on board and overboard accidents. 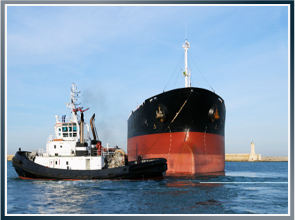 Collisions—This is often the most devastating cause of tugboat accidents. Tugboats are often forced to navigate tight spaces. Whether the cause is poorly maintained navigation gear or negligent crewmembers on the bridge, collisions with other vessels can be deadly. If you’re a seaman who has sustained an injury while working on a tugboat, you are protected by maritime law and may be entitled to compensation under the Jones Act. Contact a maritime attorney immediately to help make sure you have what you need to recover. David Anderson is a maritime injury attorney at Latti & Anderson LLP who helps those injured at sea. We have offices in New Bedford and Boston, MA, but accept cases nationwide. Next Do Commercial Fishermen Need More Safety Training?